Over 13 years of experience in the outsourcing domain has given O2I a clear understanding of common customer concerns associated with outsourcing. To address these, O2I offers prospective customers Free Trial Programs on selected services. This enables companies to assess our service delivery and quality standards first hand, before deciding to outsource to us. O2I's Free Trial Programs also help companies to get a clear picture on the outsourcing process and its output. Customers outsourcing to us make an informed and thorough evaluation of our capabilities through our free trial programs, before they actually sign a contract with us. Why a Free Trial Program? Given the high levels of competition in today's economy, outsourcing is becoming more of a necessity than a decision of choice for organizations that wish to stay competitive. However, despite being so universal, the decision to outsource continues to be a difficult one for most organizations particularly when doing it the first time. Common customer concerns pertain to disruptions to workflow, drop in quality, unclear communication lines and culture differences between the offshore and customer teams. Companies are also skeptical about hidden costs in outsourcing, poor transition planning and the pricing of outsourced services. The sudden growth in number of outsourcing vendors across the globe has only added to the complexity of the outsourcing decision. By availing any of the Free Trial Programs on offer by O2I, customers can evaluate our services first-hand on a variety of parameters such as the quality, turnaround time, data security measures and clarity of communication channels. They allow customers to assess their options much before they sign a contract with us. At Outsource2india, we offer Free Trial Programs of our Healthcare BPO Services and Data Entry Services. However we can customize this offer to suit customer requirements. If you wish to have free trials on any of our other services, contact us here and our client engagement team will get in touch with you to take the discussion further. At O2I we offer a Free Trial Program on the entire range of Healthcare BPO offered by us. These include Medical Billing and Coding Services, Medical Transcription Services, Teleradiology Services, Healthcare Software Solutions and Additional Healthcare BPO such as Medical Animation and Clinical Services. If you are in the Healthcare business and have an outsourcing requirement, sample O2I's service delivery in any of the above areas by signing up for our Free Trial Program for Healthcare BPO. Typically, the Free Trial Program will start as soon as we receive the details of your organization and your specific requirements. This information can be provided to us either through email, phone call or via the Free Trial Form for Healthcare. O2I assigns a dedicated, ad-hoc team to work on your free trial program. We target at trial programs that are do-able within a 1 week timeframe but this is often customized based on customer requirements. The entire process is marked by clear communication procedures and strict adherence to the customer's workflow. The output is sent back, reviewed at your end. Relevant feedback is given and the output fine-tuned where necessary. Contact us here for a Free Trial Project of our Healthcare BPO Services. 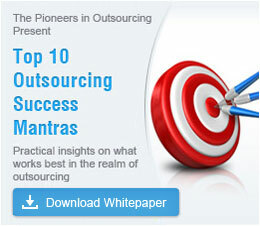 Outsource2india offers a Free Trial Project for companies interested in outsourcing their Data Entry needs to us. You can avail of a Free Trial Program on Data Entry, Data Conversion, Data Processing or Catalog Processing by giving us your company details and your specific requirements. You can do this either by filling our form for a Free Trial Program of Data Entry Services or by getting in touch with us via email or phone. O2I uses secure networks and encrypted servers to ensure total confidentiality and data security of all customer data. We have in place the latest data security measures and our teams are totally sensitized to the confidentiality of our customer's data. Avail of our Free Trial Programs and be assured of total confidentiality of your data and your corporate identity as well. Sign up for a Free Trial Program of Data Entry Services. At O2I, we offer FREE Trial Programs for Healthcare BPO and Data Entry Services. Just fill in the forms for the related service or send us an email at info@outsource2india.com with your inquiry and we will contact you shortly. Sample our Free Trial Programs before you sign a contract with us.